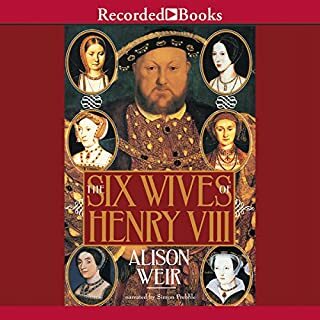 What did you love best about The Six Wives of Henry VIII? Not a new title but a solid pick for any history buff, reality-show junkie or anyone interested in reading about a king of immense capacity, talent, drive, charm, intelligence ... and unbridled lust. From a true Renaissance man of letters and politics, Henry faces the twin drives of a need for a male heir and an unrestrained sexual appetite and proceeds through his reign with increasing frustration, desire and rapacity. As complex as he is towering, the women are treated with balance and moderation. A fine listen! What was one of the most memorable moments of The Six Wives of Henry VIII? His first wife, faithful, strong and pious, sets a standard no other wives could match. 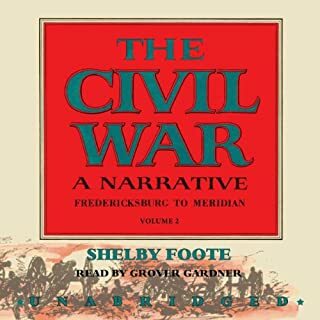 Where does The Civil War: A Narrative, Volume II, Fredericksburg to Meridian rank among all the audiobooks you’ve listened to so far? Foote's Civil War trilogy is excellent reading. His style is comfortable, he loops back to remind us of details we may have forgotten, he balances the personal and intimate with the grand and the sweeping and he balances the dynamics of north and south cultures with frankness. The only complaint I have is that the recording of the first two books is marred somewhat by changes in volume and tone occasionally. (It sounds as if the recordings were corrected and the volume and bass treble settings were not identical.) These caveats are minimal, however, given the overall quality of the writing and the scope of these histories. Bravo! What was one of the most memorable moments of The Civil War: A Narrative, Volume II, Fredericksburg to Meridian? The frustrating encounters of the northern cavalry against Nathan Forrest, a mean and rough man who knew how to strike hard and win battles. Amazement at the sacrifice of lives and bloodshed for such a ennobling cause.